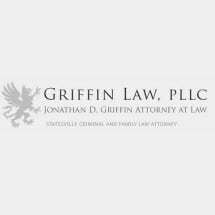 With over 15 years of experience, Statesville, North Carolina, lawyer Jonathan D. Griffin will not pass up an opportunity to vigorously advocate for you. As a criminal and family law attorney who understands the fragile and disorienting state in which you may find yourself, Jonathan D. Griffin offers personalized, straightforward service. It is important to select an attorney who values your well-being. Take care when trusting precious things like your family and your record into the hands of an attorney.